To fold a quilt and have no crease lines, Alex Anderson of TheQuiltShow demonstrates how at: http://thequiltshow.com/daily-blog/142-newsletter/24624-want-to-avoid-those-creases-in-your-quilt-alex-shows-you-how?utm_source=Infusionsoft&utm_medium=email&utm_campaign=2017_01_01_Sunday_Smiles_3&inf_contact_key=d3032b57648513ee09db423d9d84765695872c3177e79aedaa3010cdc10bd011. This type of quilt folding has been around for some time, but Alex’s demo is a good one. I roll my art quilts and fold my traditional ones. I need to start folding my large traditional quilts this way. With the flooding that is occurring in the Southeast from Hurricane Matthew, this information about quilt and textile care after a flood may be helpful. “How to Care for and Salvage Your Textiles After a Flood” is from Lynn Lancaster Gorges. The police stated the break-in looked like it was professional and was probably a “smash and grab” with the thief not knowing what was in the suitcase and of course, then finding that was nothing of value to the thief. But, very valuable to the owner! Many hours of work and creativity and thought went into the contents of that suitcase. How terrible for Karen! This type of crime is committed more frequently today than ever. Think about what you leave in your car. Be careful. I do not leave quilts in my car, nor anything else of value, but definitely – never quilts. As a quilt appraiser I hear of losses more than you would imagine. Let’s hope that Karen’s full suitcase or the contents turn up soon. The black suitcase contained quilts for her Patchwork Illusions class, along with teaching supplies and demo items. The quilts are original designs. They are labeled with Karen’s name and address. The labels are sewn on the back, and could easily be removed. You can visit her blog: http://karencombs.wordpress.com/2012/03/18/quilts-stolen . The Royal Ontario Museum recently spent eight months restoring a large palampore, and they kept a video record of their major conservation project. Fascinating to see, and what a beautiful palampore! These two videos are from the International Quilt Festival, Houston, 2009. They are about buying and anitique quilt and caring for an antique quilt. The presenters are: Mary Koval and Jane Lury. I had written earlier about quilt care info that can be found on Patricia Cummings’ web site. See previous post. For more quilt information, check the International Quilt Center and Museum’s web site: http://www.quiltstudy.org/index.html. Most people I meet who have antique quilts want to know how to care for them. “How should they be stored?” “Can I launder or dry clean my quilts? ” Those are the two most commonly asked questions I hear. I recommend that you read: http://www.quiltersmuse.com/quilt_care_straight_talk_book_intro.htm about quilt care. It is written by Patricia Cummings and is on her site: www. quiltersmuse.com. 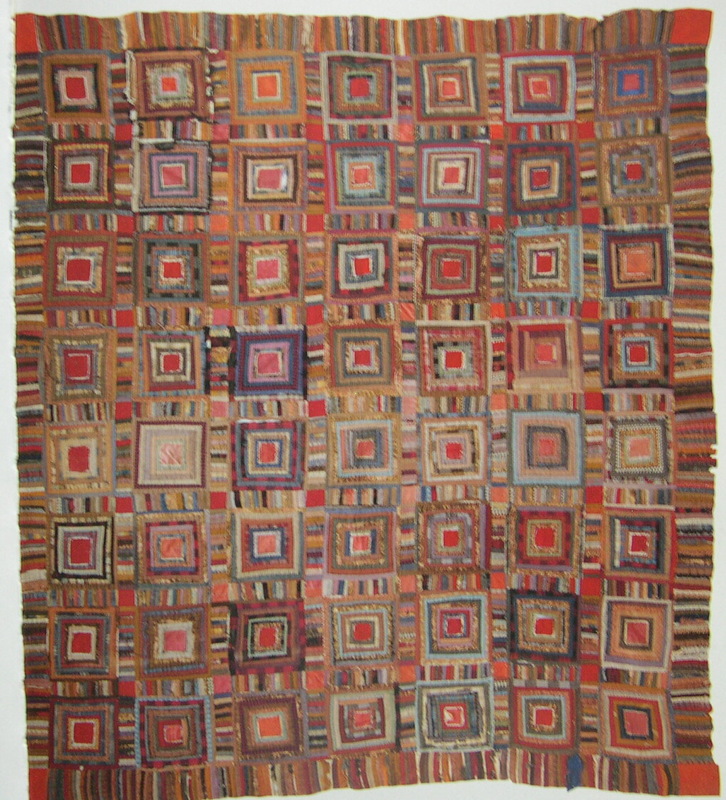 A log cabin quilt from the 1800’s. It looks quite contemporary, doesn’t it? This is a new blog about quilts…all about quilts. 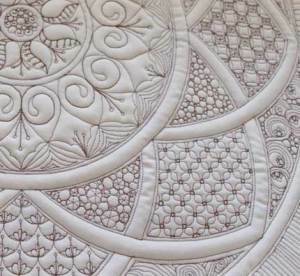 I am an appraiser of quilted textiles, certified by the American Quilter’s Society in 1997. I have had an interest in quilts for many years, having collected them, been a charter member of several quilt-related organizations, a founding member of a few, and a member of some others. I teach and lecture as well, and I used to work in a quilt shop. 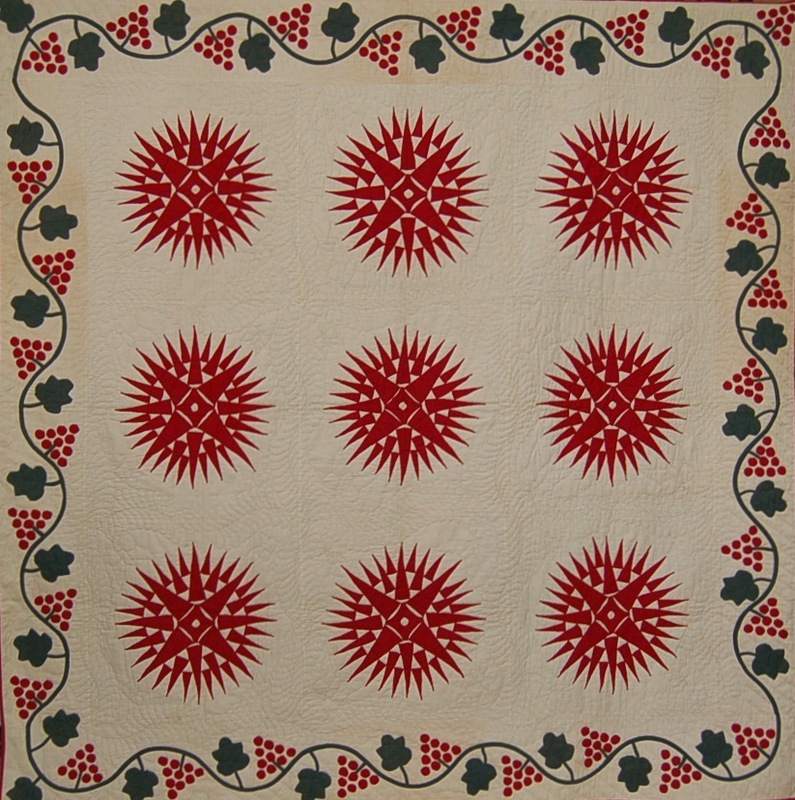 The groups’ interests range from traditional new quilts, antique quilts, quilted garments, as well as art quilts. I make art now. And I love all types of quilts! I also am a new author. 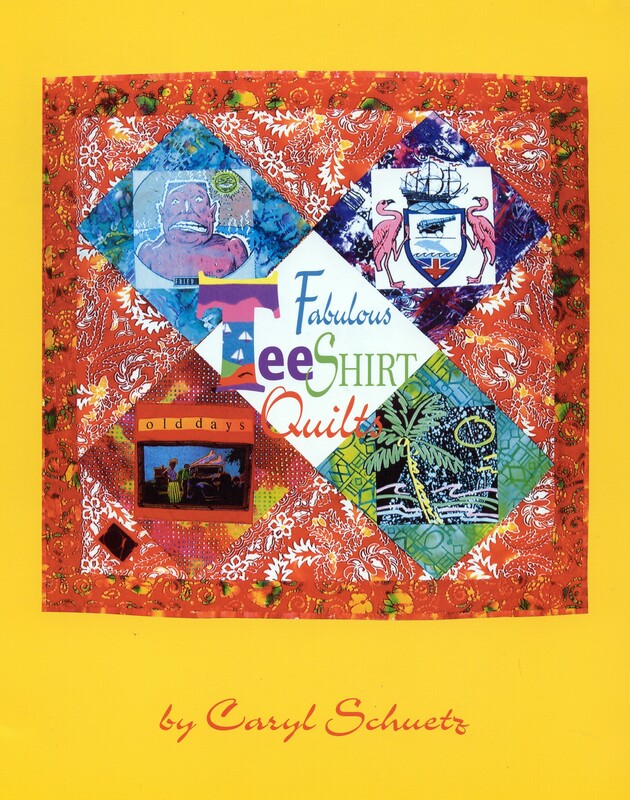 My book, Fabulous Tee Shirt Quilts, which was published last year, is about making quilts using tee shirt logos. These quilts are special to their owners, as they are personal to them, with logos from the tee shirts having special memories for them. These quilts are something like a scrapbook other than the best part is that one can sleep under tee shirts quilts, so cozy. Don’t think anyone’d want to sleep under a scrapbook. I plan to include photos of quilts in this blog. We quilt makers are very visual. “Wonder Women” is my millennium celebration quilt, made in 2000. Here it was exhibited at the Indianapolis Museum of Art in 2007. It consists of photo transfers onto fabric of fifty American women who lived during the 2oth Century, women whom I admire. 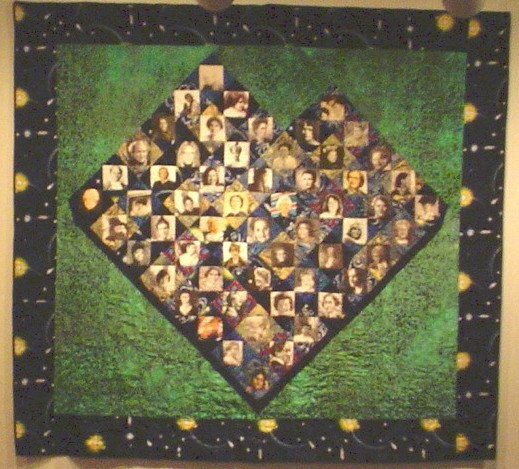 I realized early on in the project that I could have only so many photos, because the quilt could be so large; so I decided not to include women from other countries, or women in show business, because I could not let the quilt get too large. Each photo on fabric is 4″ x 4″ in size. The border print has the year “2000” printed in it to commemorate the celebration.